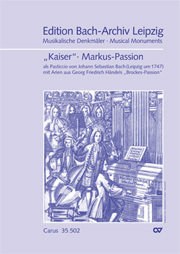 The extraordinarily high reputation among Handel's contemporaries of his Passion Oratorio to words by Brockes is indicated by the fact that no less eminent a musician than Johann Sebastian Bach himself made a copy of this work. 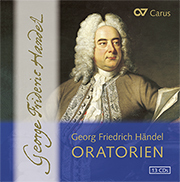 Although Bach copied it without making substantial changes in it, our edition of the work brings together two of the greatest baroque composers. 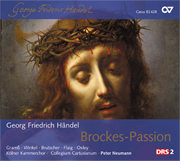 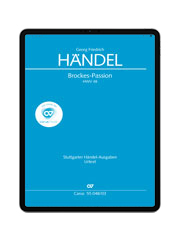 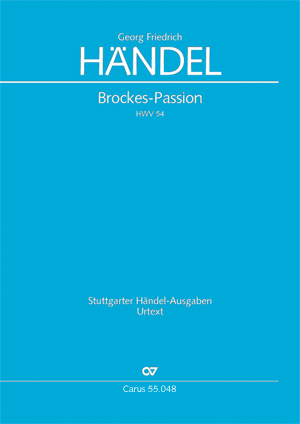 The Brockes Passion was – not only for the Leipzig Thomaskantor – an alternative to the betterknown Bach Passions. 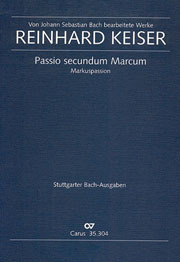 [...] Eine sehr zu empfehlende Komposition als Programmalternative für geistliche Konzerte in der Fastenzeit.